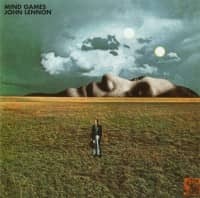 Opening the second half of the Mind Games album, Intuition was a rare upbeat song by John Lennon in praise of positivity. Some of Lennon's best songs had been written about his doubts and fears, and he had been celebrated for his willingness to reveal his innermost feelings. However, he had rarely sang his own praises in song. Lennon recorded a home demo of Intuition in the summer of 1973. Recorded on piano, at this time he had completed the verses and had the tune for the chorus, but was without a lyrical hook. On the recording he sang the middle section of How? and the final verse of God in an attempt to find inspiration to finish it. Clearly his intuition wasn't yet leading him in the right direction. When recorded for Mind Games it became a jaunty pop song driven by bass guitar and keyboards. However, it's hard to believe that the man who had written something as creative as Strawberry Fields Forever or as urgent as Revolution could be quite this pedestrian, and Intuition marks a low point in Lennon's creativity. Lyrically, it was at odds with much of the rest of Mind Games, which was made at a time when Lennon's marriage to Yoko Ono was hitting the rocks. A phrase like "It's good to be alive" would be replaced with more soul-searching in the coming months when certainty turned to upheaval. I like it. I think John plays electric harpsichord in this one. Well I like it too. And Elliot Murphy’s “Bittersweet” from his Lost Generation album owes a lot to the Lennon above mentioned song. Ah, and good part about the electric harpsichord. There’s a strange sliding synth (?) in there that I’ve always wondered the source of. Nilsson This Could be the Night. It’s on the Phil Spector Mono collection. I think this is one of Lennon’s most underrated songs. It’s on par with Instant Karma so it’s hard to understand why more people haven’t gravitated to this song. Good for him in finding happiness in a lower point in his life and for making a whimsical, inspiring song out of it! The nameless author of this article says this song “marks a low point” in John’s creativity, mostly weighing on generic lines in the lyrics. Bull. The commenters here have done this song some justice. Frankly, there are Beatles and Lennon songs far more generic in sound and lyric. And even granting the point on the lyrics, the instrumentation and sound of this song stands outs. First, the slide guitar is delightfully strange. I would’ve thought it came from a pitch bending synth which would’ve been uncommon in 1973. Combine that with the cascading steel drum sound and I can’t tell what instruments he used to get either sounds. The harpsichord and slurry drum beat march the song forward while the bass seamlessly alternates from keeping the beat to playing lead. It’s clearly influenced by Phil Spector (possibly via Harry Nilsson) with the song “This Could Be The Night” as other commentators here have mentioned. Melodically it alludes to “My Defences are Down” from *Anne Get Your Gun*, in addition to likely being influenced by Sly and the Family Stone’s “Hot Fun In The Summertime” in it’s structure.